As part of National Apprenticeship Week, David Nieper Design Room Assistant Sarah Cobb talks to BBC Breakfast about switching careers and learning new skills in fashion and textiles design. Former Secretary of State for Education Nicky Morgan comments ‘ we need more people like David Nieper in education’. Former Secretary of State for Education Nicky Morgan MP talks to BBC Politics Show about Britain’s underperforming schools and comments ‘ we need more people like David Nieper in education’. The David Nieper Academy and David Nieper fashion house were delighted to welcome HRH The Countess of Wessex to officially open the new school and take a tour of the sewing rooms, the Countess delighted children and staff by joining a food tech class at the school and taking a lesson in dressmaking at the David Nieper Sewing Academy. 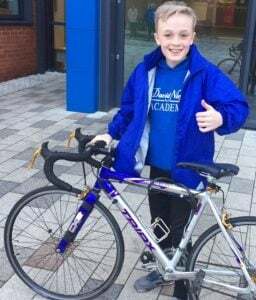 BBC East Midlands Today talks to David Nieper Academy Year 8 student Kian Pearson attempting to set new cycle record. 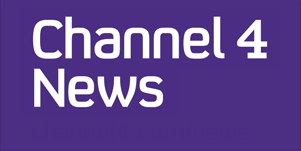 Channel 4 news visits David Nieper in Derbyshire and reports on the recent GDP figures and the firm’s most profitable year in its 55 year history. 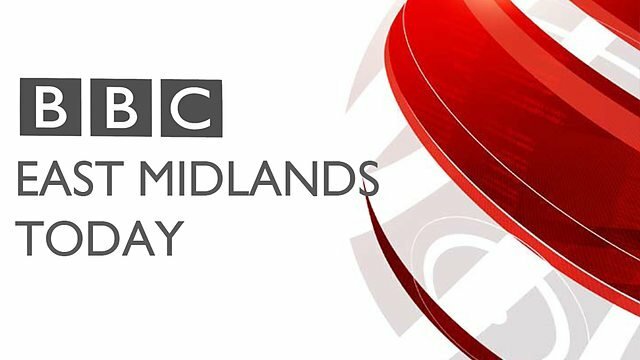 Christopher Nieper, Managing Director of David Nieper is interviewed by East Midlands Today about the Carillion crisis and potential impact on the David Nieper Academy. The BBC Politics Show visited the David Nieper Academy and David Nieper fashion house this week, to report on how the business is investing in skills both through secondary education for students at the Academy and vocational skills within the sewing school. 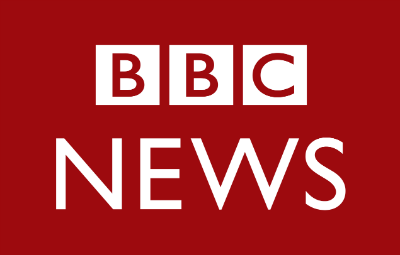 Managing Director, Christopher Nieper was interviewed by BBC News Live to discuss what support UK businesses needed to hear from government in the Prime Minister’s Speech in Florence. 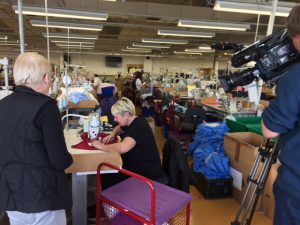 Sky News visited the David Nieper sewing rooms to talk to Managing Director Christopher and some of our staff about what they would like to see emerging from the Prime Minister’s Brexit talks and how much of a difference it really makes in daily life.